So, you live in Florida and you know hurricane season is rapidly approaching. If you’ve ever been through a hurricane before, you know that being without power for days and weeks at a time in this Florida heat is nothing to look forward to. A common product that plenty of people are in the market for this time of year are backup generators. 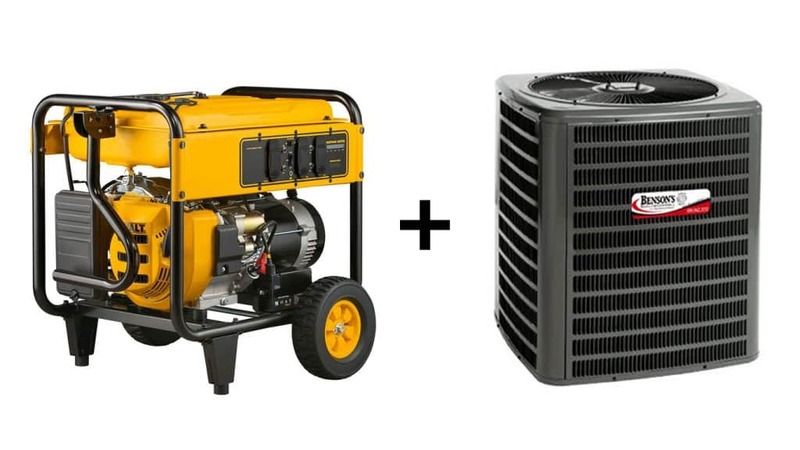 If you are one of these people, you may be asking yourself what type of generator you will need to purchase in order to run your air conditioning system if a hurricane or bad storm impacts your area this season. There are two different types of generators on the market—portable and standby generators. Portable generators are just what the description says, they’re generators that you can store away in a safe place and bring out when they are needed. Portable generators are usually more budget-friendly than standby generators, but you will need to continuously purchase fuel to keep it powered. The more expensive option, the standby generators, are electrical systems that operate automatically whenever you have a power outage at your house. No matter which type of generator you prefer, there is one crucial piece of information you must know and keep in mind. When purchasing a generator, you must know what the starting wattage and running wattage for your AC unit is. You also must know what the generator’s starting wattage and running wattage is as well to make sure the generator can handle the overall workload of your AC unit. If you try to power up something that has a bigger need than your generator can handle, you can risk overloading and breaking the generator as well as causing serious damage to anything plugged into the generator. More seriously, if you overload your generator, it could even result in a fire. Unfortunately, central AC units have a wide-range when it comes to wattage, so if you’re not sure what wattage your AC requires, look at the unit’s nameplate or you can check with the manufacturer. Try not to wait until a major storm is heading your way. Beat the crowds and start looking to purchase one now so your options aren’t limited when a storm is headed your way. Be sure to call Benson’s Heating & Air Conditioning if you have any other questions about generators and your AC unit! It’s that time of the year when you should really start preparing to get your air conditioning running at its optimal level so it is ready for the sizzling summer heat we experience every year in Florida. An important factor to keep in mind is that clean air vents will help save you money on both cooling and heating your house. Not only will clean air vents help save you money, but it ensures that dirt, dust, hair, pollen and other allergens are not spreading and flowing throughout your entire house. In order to effectively clean your air vents, you will need a few supplies that you likely have lying around the house. You will need a ladder, screwdriver, soap, water, a cleaning/scrubbing brush, and a vacuum (a heavy-duty vacuum is recommended). To get started, first you will need to turn off the power to your air conditioning and heating system. Next, depending on where they are located, grab a ladder if needed and unscrew all of the air vent covers from the ceiling, walls, or floors. 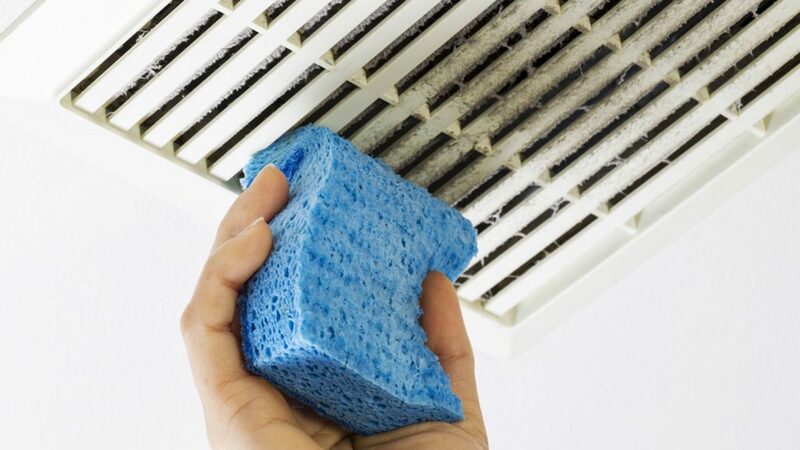 With warm soapy water and your scrub brush, clean all of the air vent covers and then rinse them off with fresh clean water. Next, lay them off to the side somewhere to dry. While they are drying, grab your heavy-duty vacuum and vacuum the ducts as thoroughly as you can. Renting a heavy-duty vacuum is a good idea because the standard vacuum does not have a very long hose to reach deep into the ducts and it is usually not powerful enough to draw all of the debris from the crevices inside the ducts. We recommend wearing a mask if you have not cleaned your vent covers or ducts in a while so you do not inhale any of the debris during the cleaning process. If you need a more thorough cleaning or are unable to clean your air vents for some reason, please call Benson’s Heating & Air Conditioning. We’ll be happy to come out and clean them for you!